UKTV, operator of digital channels including Dave, Drama, W and Gold is predicting it will register record-breaking growth in commercial audiences (SOCI) across the last 12 months. The broadcaster, a joint venture between BBC Worldwide and Scripps Networks is projecting 7.7% growth of its share of commercial impacts (SOCI) for 2016 to a record year-end high of 9.87%, putting it ahead of Channel 5's full portfolio and all of Sky's wholly-owned channels (including movies and sport) for the second year running, and closing the gap with the ITV digital channels group. During the past year, viewing share across UKTV's channels increased by 7.3%. 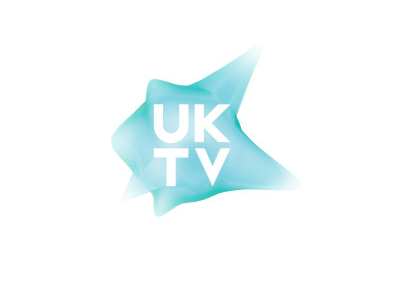 Previously known as a broadcaster whose channels primarily feature repeats from the BBC and Channel 4, in 2016, six of the top 10 rating shows on UKTV's network in 2016 were UKTV Originals, compared to only one in 2010. The broadcaster also worked with twice as many independent production companies in 2016 than in 2015. The new W channel - launched in February 2016 taking over EastEnders repeats from BBC Three - achieved a 5% growth in viewers compared to its predecessor Watch, with viewership amongst the target female audience up by 20%. UKTV Original John Bishop in Conversation With James Cordon pulled in 1.1m, and homegrown Inside the Ambulance 192k. Brand new commissions Dr Christian Will See You Now, Dancing for the Weekend and The Dressing Room are coming to the channel in 2017. Britain's favourite comedy channel Gold had success with new and returning UKTV Originals. The Rebel, starring Simon Callow, attracted an audience of 459k and a second series of Marley's Ghosts. starring John Hannah, Sarah Alexander and Jo Joyner was watched by 424k. Ambitious scripted comedy commissions Murder on the Blackpool Express and Henry IX launch on the channel this year. Drama, which is the number two non-PSB channel and shows mainly BBC content, had its best year ever, having grown share of viewing by 27% in 2016. Peaking with a daily share of 2.05%, the channel exceeded half a million viewers 31 times with popular BBC shows Inspector George Gently, Death in Paradise and New Tricks bringing in big audiences. Leading the commissioning drive was Dave, the country's most watched non-PSB channel, also named Best Entertainment Channel at the Broadcast Digital Awards. Dave's critically-acclaimed UKTV Originals brought in strong profile audiences, taking eight of the top 10 slots in the channel's ratings list for 2016 and bringing millions of users into TV on demand service UKTV Play. The list of top titles spans more genres than ever before and includes Red Dwarf XI (2.4 million Total Consumption), Live Boxing: David Haye V Mark De Mori (1.9m), Dave Gorman Modern Life is Goodish (1.1m), Taskmaster (1.3m), Celebrity Storage Hunters (1.4m), Dara O Briain's Go 8 Bit (1.2m) and Zapped (1.1m) A new series of sharp-witted US acquisition Suits was also a top performer (737k). Meanwhile, on-demand service UKTV Play was the broadcaster's fastest-growing brand, with a 74% increase in direct-to-consumer views year on year. UKTV Originals perform well on the service; there was 179% growth in direct-to-consumer streams of originals from 2015. Downloads of the UKTV Play app were also up 98% year on year. The hotly-anticipated Red Dwarf XI, which was the network's best performing show of the year, brought huge audiences into UKTV Play, with record-breaking numbers for the exclusive preview of the first episode, and a big drive for newly-launched user registration on uktvplay.co.uk. Following a four month, multi-layered digital campaign for the launch of Red Dwarf X1, Google Analytics data showed social media drove 40% of traffic to uktvplay.co.uk on day one of the preview. "UKTV's focus on content, brand and digital has grown audiences to almost 10% of all commercial TV viewing. In 2016 we broadened into new genres and built the popularity of programming such as Taskmaster, Dara O Briain's Go 8 Bit and live sport. UKTV Play also grew VOD viewing by 74%, with more viewers coming in to our vibrant TV on demand service than ever before." In its announcement today, UKTV remained quiet about the progress of its newest Freeview channel Home, which switched from pay to free TV in March 2016 and factual pay TV channel Eden, both of which have been recording low audience shares according to BARB audience measurement data.